The amount of time one spends at a coffee shop varies. There's the grab and go for a quick caffeine fix, there's the meeting or coffee date, and then there's the working afternoons or nights. There are three things I look for in a coffee shop to work in: good coffee, free wi-fi (and plugs), free and easy parking, and good pastries. Graffiti on La Brea has all these. I was worried about parking when I was heading there at first, but it turns out Graffiti has its own parking lot. It's small, but cars come and go all the time, so you're likely to get a free parking spot and can stay for hours. 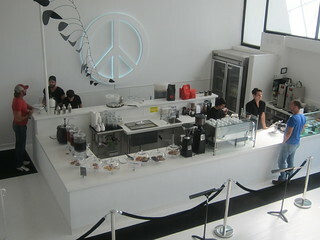 The inside of Graffiti is spacious and bright with its white walls, floors, and tables. 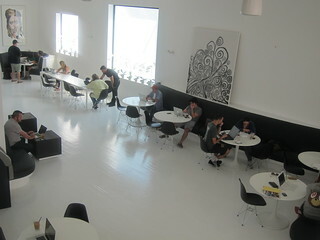 It's a large, almost art gallery-like space with plenty of seatings for everyone. 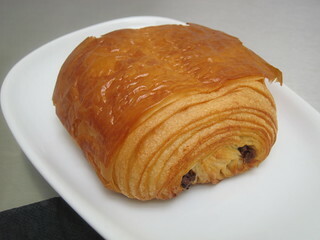 Graffiti doesn't roast their own coffee or bake their own pastries, instead it curates from LA's well known names. OK, I should've tried the drip coffee or espresso, but it was so hot that day I had to go for a cold one. 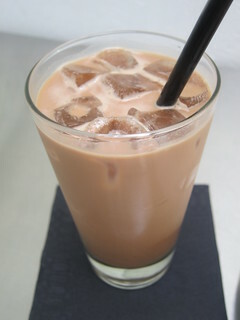 The signature iced mocha is made with Intelligentsia coffee and Bouchon chocolate ganache. It's not cheap (nor are the pastries) at around $5.50, but with the free parking it was well worth the 2-3 hours I spent getting my work done there. 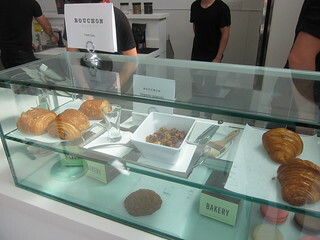 The pastries here come from Bouchon Bakery and Cake Monkey. With a chocolate croissant from Bouchon, a cup of coffee, free wi-fi and parking, and plenty of plugs, I could (and did) stay here for hours! Soon, they will have ice cream from Fonuts (affogatos!) as well along with soup and sandwiches from other LA's favorite joints.